The Mitchell Dress and Jumpsuit bring easy wrap style to any sewist's wardrobe. 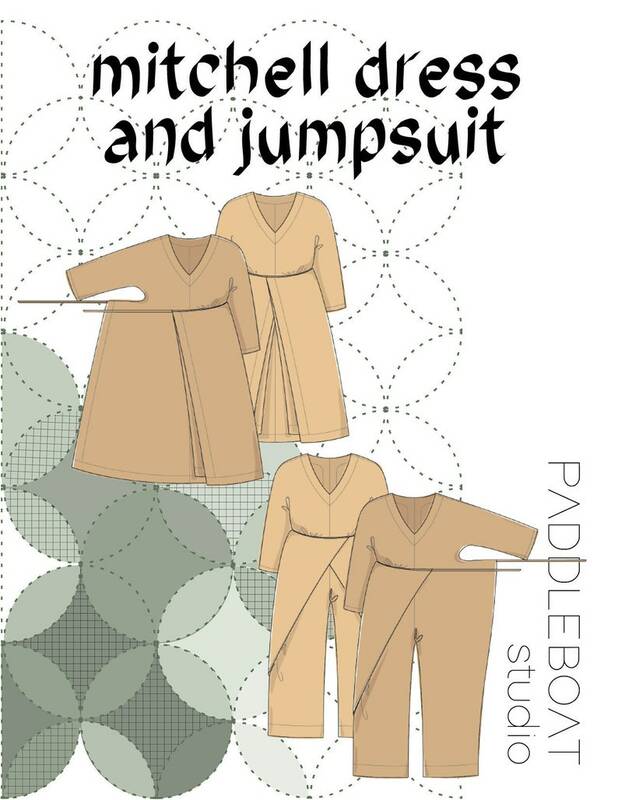 Both the dress and jumpsuit utilize innovative design and simple shapes to create a silhouette that is flattering on any body type while remaining easy and fun to sew. The jumpsuit version of the Mitchell requires an invisible zipper, instructions for installing this type of zipper are included. Pattern is sized XS-XXL, roughly 32"-45" bust. The Mitchell Dress and Jumpsuit is an instant PDF download. You will receive a zipped folder containing five separate PDF documents: instructions, print at home versions and now featuring copy shop versions as well! After purchasing this pattern you will see a link to the Downloads page where you can download your pattern once payment is confirmed. 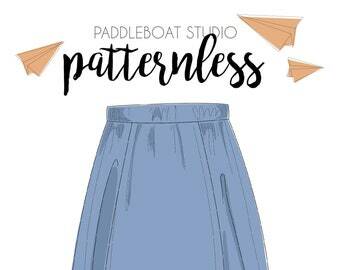 Paddleboat Studio patterns are intended for personal use only. Please do not distribute this pattern or any copies of it without my permission. 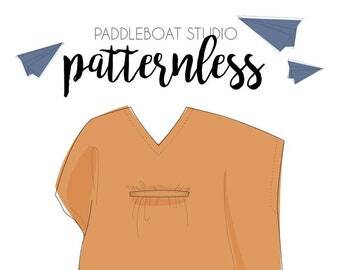 Please do not sell any garments made from Paddleboat Studio patterns without my permission. 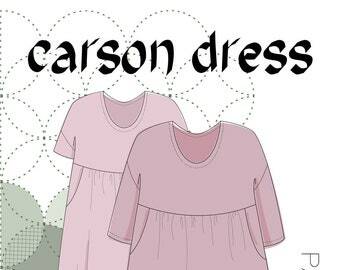 The Carson Dress PDF Pattern Sizes XS-XXL - Now Updated! Gorgeous pattern with really clever construction and clear, easy to follow instructions. Love my jumpsuit! Such a cool pattern! Very excited about it! Refunds are given only if our product is damaged or defective in any way. Exchanges are sometimes available if the wrong size was ordered.